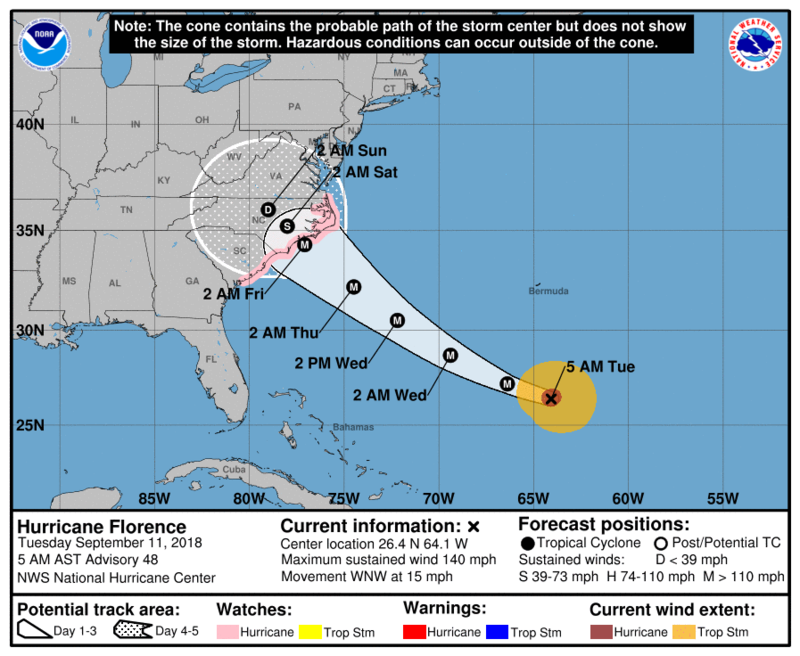 Hurricane Florence is expected to hit the East Coast Friday as a major hurricane. Two named storms trail behind Hurricane Florence in the Atlantic on Sept. 10, 2018. Forecasters say weather effects could begin as soon as Thursday. While landfall is likely along the Carolina’s coasts, Georgia officials are preparing. Chatham Emergency Management Agency Director Dennis Jones said the coast could see strong effects. "We could possibly get some rainfall from it possibly some winds that are equivalent to a tropical storm," Jones said. 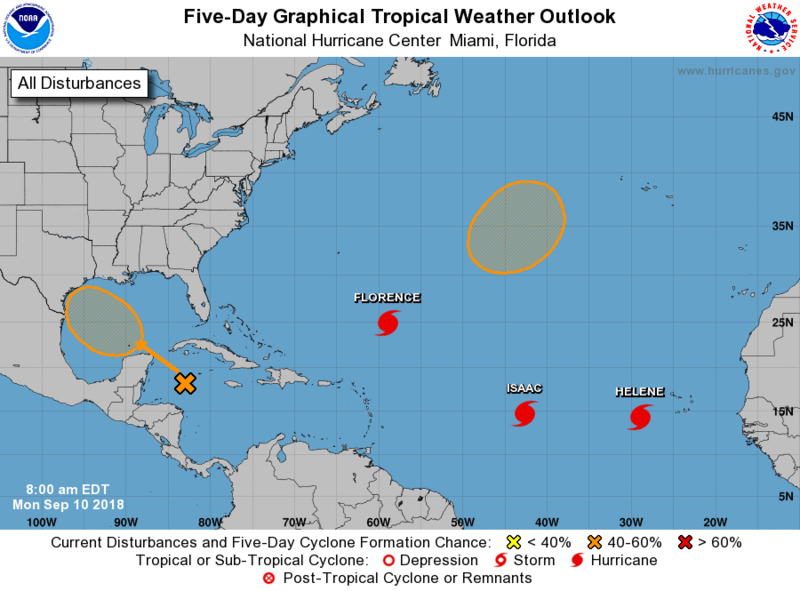 Marshall Shepherd, the director of the atmospheric science program at the University of Georgia, said Florence could dump as much as 2 feet of rain on parts of North Carolina and West Virginia by the weekend. The storm should be taken seriously because it's expected to hit as a Category 4 or higher, he said. "What worries many of us now is that some of the models have it basically stalling in the same way that Harvey did around Texas," Shepherd said. The main concerns for Georgia are rain, wind, flooding, rip currents and marine hazards off the coast. "The good news for Georgia in terms of storm surge is that, typically, the greatest storm surge is on the right side of the eye," Shepherd said. "So that would be from Carolina northward into Virginia." But for those states, the heavy rainfall could dump up to 2 feet of rain on an already saturated area, Shepherd said. And states of emergency have been declared in Virginia, North Carolina and South Carolina. "I think we're looking at a potentially massive evacuation from this particular storm," Shepherd said. From the southeastern parts of Athens to Augusta and even Savannah, hotels will fill up quickly. "This is going to, unfortunately, play out to be a long-term event," Shepherd said. "I fear not just when the storm makes landfall, but several days afterward."